Raja Ampat is a regency in West Papua province of Indonesia whose coral reef environment is the healthiest and the richest in the world. Tens of thousands of scuba divers, snorkelers and freedivers go there every year to see the beauty of its marine life. Marine tourism supports local people to preserve their rainforest and coral reef. However, both local communities and foreign visitors have to be well informed about the importance of tourism activities that are safe for the environment. Raja Ampat archipelago have got a lot of coral reef sites for snorkeling and freediving. Most people go to Saporkren, Gam island, Kabui bay, Kri, Mansuar, Arborek, Piaynemo and Wayag. 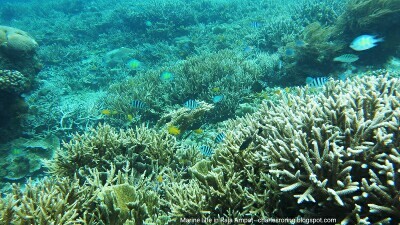 However, there are still a lot of coral reef sites in the region that have not been explored by foreign tourists. I highly recommend some uninhabited islands, and Fish Lagoon in the eastern region of Waigeo as a new destination. 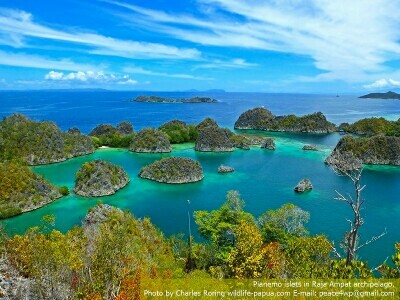 Raja Ampat is a great destination in Indonesia for both domestic and international birders. 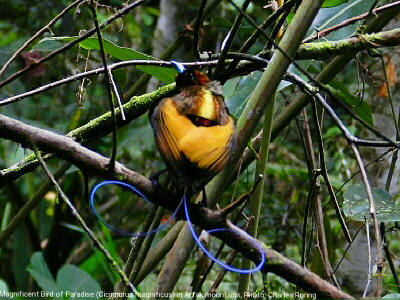 Its tropical rainforest and coastal areas are home such birds as Red Bird of Paradise, Wilson's Bird of Paradise, Palm Cockatoo, Lowland Peltop, and Eclectus Parrot. Birding as ecotourism activity is still very new in this archipelago. Birding visitors are highly advised to bring their own birding devices such as binoculars, and spotting scope. Manokwari is the capital of Papua Barat province in the Republic of Indonesia. This small city stretches along the coast of Dore bay. There are 3 islands in the bay surrounded by coral reef areas. 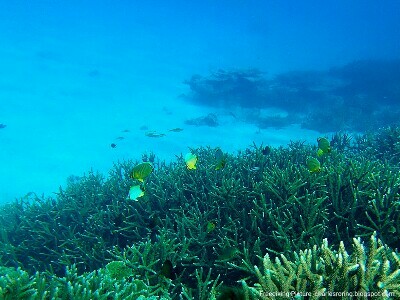 They have become important sites for tourists who like to enjoy snorkeling. There also coral reef sites in the south and in the north coasts of Manokwari that are suitable for this interesting sports. Visitors who swim in these marine environments can see a lot of species of fish including anemonefish, striped surgeonfish, parrotfish, wrasse. There are regular daily flights that connect Manokwari with other major cities in Indonesia such as Jakarta, Surabaya, Denpasar, Makassar, Manado, Sorong, and Jayapura. These flights are served by such Indonesian airlines as Garuda, Sriwijaya, Batik Air, and Nam Air.